Eswatini has once again been put on the map as a first Liswati has managed to make it to the Forbes 30 Under-30. Forbes 30 Under-30 is a set of lists issued annually by Forbes Magazine and some of its regional editions. The lists recognises 600 promising and successful business and industry figures, with 30 selected in 20 industries each. Asia and Europe also each have 10 categories, while Africa has a single list of 30 people. Forbes hosts associated conferences and a section of its website called Under-30. Phiwa Nkambule from Manzini was among the 30 Africans to be selected into the 2018 edition of the Forbes 30 Under-30. The 26-year-old was selected for his skills in the technology industry, where he founded two companies. The first one was Cybatar, a software development house now based in Kenya. He founded this company in 2014. The Johannesburg-based technologist also took advantage of the #Fees must fall protest which took South Africa by storm back in 2015. “I launched a tuition fee crowd funding platform through the Cybatar during the first #fees must fall protest in 2015,” said Nkambule. The second company he founded was the Financial Technology (FinTech) company, Riovic. This company was founded in 2015 and it has been making waves in the insurance industry, according to Nkambule. “Riovic, which is backed by Rand Merchant’s Alpha Bank Code, has been making waves globally in the insurance industry since 2016. “I have been getting invitations to do keynote addresses on digital technologies at insurance conferences. The last one I attended was the 13th International Micro insurance Conference in Peru, South America, in November last year,” Nkambule said. Nkambule said he was grateful to have put Eswatini on the map and also prove that it was possible for a black young Liswati to be as innovative as inventors like Steve Jobs and Bill Gates. He also encouraged entrepreneurs not to rush as inventing something took a long time. “You need to invest time and not to expect quick money or results. Be open to failure, but fail fast, learn from your mistakes and change your strategy soon until you get it right. Starting up is an experiment,” he said. He further advised the entrepreneurs to try and eliminate the need for large amounts of money. He also said they should believe in themselves and constantly learn from those that had succeeded. Nkambule got to know about this last Friday, although the selection process started in February this year. Nkambule was born and raised in Madonsa 26 years ago. He spent his childhood years at the National Psychiatric Centre Nurses Home in Madonsa, Manzini. He later moved to Makholweni (by Hillside High School) in Manzini. 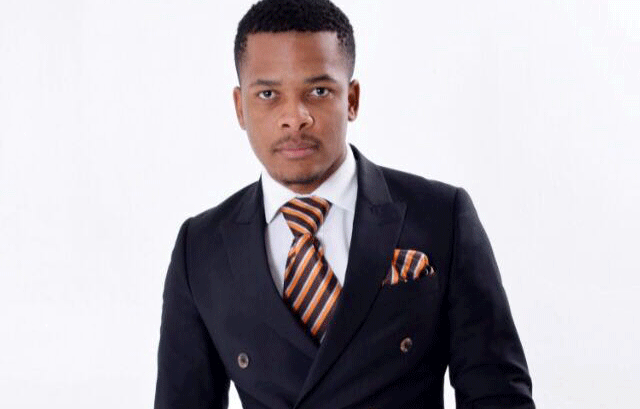 He studied BCom Law at the University of Pretoria, but could not graduate as he had to pursue his business ideas. He moved to South Africa in 2007 for his high school education.